Crunch tech is another automated binary options trading system. The creators of this software are Rick Paulson and Daniel Avery. They tell us that their “innovative trading software & zero-latency weather prediction tool” will earn traders $89 an hour every single day on autopilot. This product is being promoted by the same network of binary options review sites we are used to seeing. First of all, it’s important for us to recognize who are really behind the release of this crunch Tech software. It’s my belief that this system is produced and recommended by a large network of websites. It’s no coincidence that this system was just released and within hours there were many reviews claiming this is the next great binary options software. In reading through these reviews it’s quite apparent that they are all coming from the same source as they all have catchy headlines with exclamation marks and click bait keywords like scam. This exact same process occurred during the Neo2 product launch, and also during the copy buffet software launch. I can’t out right claim that the developers of crunch Tech are the exact same people that put out these other systems but their similarities and association to this binary options network of sites can’t be disputed. Well, the first thing we need to ask ourselves is have any of these other binary options systems actually made real traders any money? Obviously, if you go to the websites that are part of this network you will see many positive comments but have you seen them from anywhere else. Have you seen traders in binary options forums or on my website giving any of these systems a positive rating? I have not. That doesn’t mean that crunch Tech is a horrible piece of junk and I’m certainly not saying that. 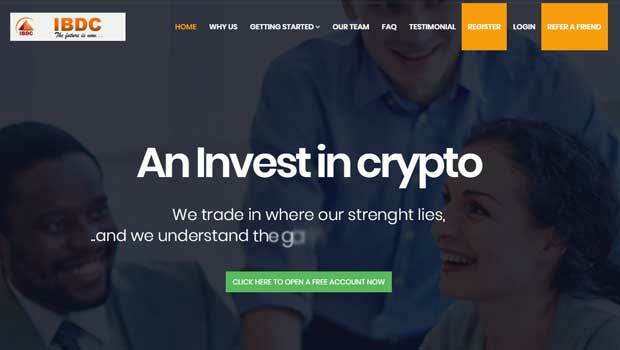 Yet, we have to be very careful in approaching any of these free automated binary options systems that promise thousands of dollars in return. It’s my experience, that automated binary options systems aren’t performing. I would say, over 50% of the traffic I get on my website are from people who have used automated systems, failed and have wanted to try something different. For these people I introduce them to real binary options strategies and software. I didn’t write out my podcast transcript today but I may do this in the future if it’s requested. Just thought you guys should know. If you want the full scoop, listen! It’s really too early to say whether or not the crunch Tech system is a performer or a scam. In my review today I focused mostly on a binary options network of websites that are all providing positive reviews of the system. What I’m trying to do by pointing this out is to create a new discussion. Who are the people behind these websites and should we trust what they have to say? If you have used the copy buffet software or Neo to or any other binary options auto trader it’s very likely you have some sort of connection to this network of websites. If you have had success with them then you should continue to do so but if you’re results are anything but stellar you should consider taking a different path. 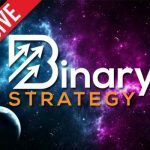 Thank you for spending your time here at binary today and I hope this review helps you get a better understanding of the binary options market. John , The common denominator to all of the above is Michael Freeman and his scam network. I signed up with crunch tech and all the synced brokers are shady. Sorry to hear that Dennis, did you win any of your trades at all? Yes I have seen numerous times where the same network of so called scam busters will always come up with the same results when reviewing a new program. It seems they all band together when they really want to promote a certain program and create mass excitement. On the flip side I have seen them all band together to also bad mouth everyone else including some programs that are actually getting good realistic results (including your company), so as to make themselves look like the saviours of the community and that they are doing everyone else a favour so they join what every flavour of the month they are promoting.